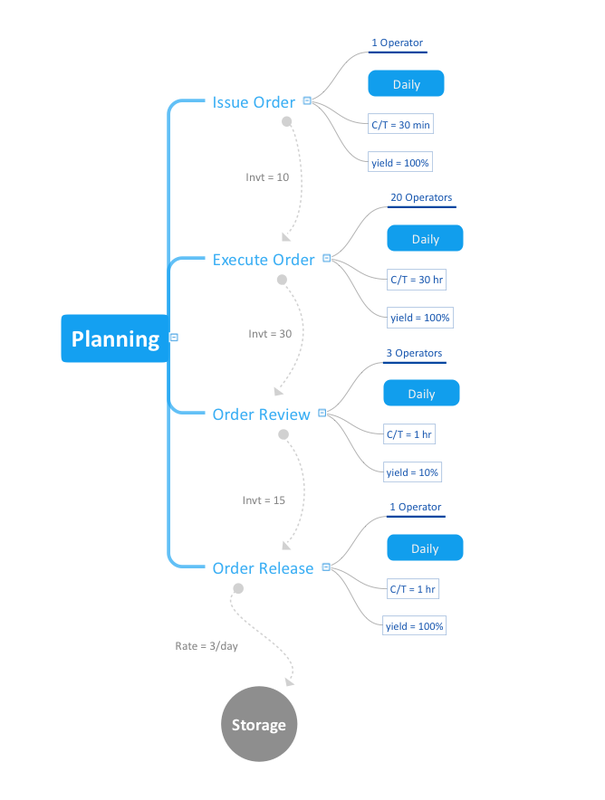 ConceptDraw MINDMAP with the new Quality MindMap solution allows users to depict a quality processes or the company. ConceptDraw MINDMAP is a good way to describe visual instructions for any process. Printed on a single page, it is easy to identify the critical points during a conference call. As a note-taking tool, it lends itself to reorganizing the notes taken during a planning conversation to the corresponding spot in the structure of a template. Note organization is as easy as dragging-and-dropping content to its correct placement. Pic.1 Quality mindmap - VSM.